An optocoupler (opto-isolator) is useful in isolating two separate circuits while still allowing the input-side circuit to control the output-side circuit. Optocouplers are often used to allow a microcontroller control motors, servos, LEDs, or other circuits or modules that use a different voltage than the logic level voltage on the microcontroller. Another common use is as an electrical noise barrier to isolate sensitive control circuits such as the I/O pins on a microcontroller from loads or circuits that have or can create electronic noise or spikes such as relay coils and motors. 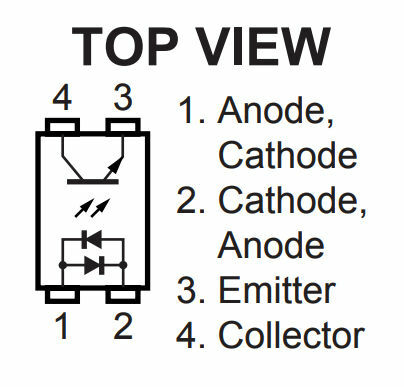 This optocoupler has back to back LEDs on the input side allowing for either polarity DC or an AC voltage to activate the output transistor.